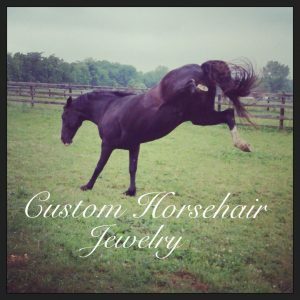 Ashleigh is a mom in her thirties, a loving wife, a full time worker, and a passionate equestrian. 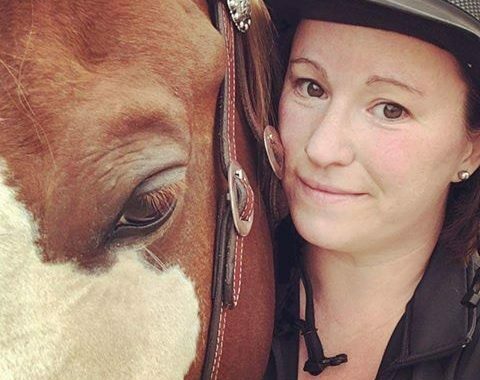 Unfortunately for her showing career, she is also a resident in a very rural part of Ontario Canada where most dressage shows are 1-2 hours away. 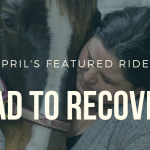 Her horse-crazed journey started about 25 years ago when she was a little girl. 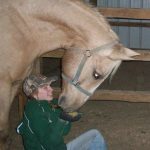 She’s always loved horses and animals in general, but when her best friend started taking riding lessons, it was time for the begging to start. She bothered her parents for months on end until they finally caved and let her take lessons for the summer. 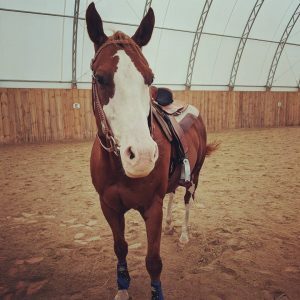 Miles is her western dressage horse, but he has also been exposed to numerous Western disciplines including gaming, cattle work, Western pleasure and extreme cowboy. And of course, they also love to trail ride as much as they can while the weather is good. “I think he picked me. He’s was a very green 4 year old when I bought him, I had no idea what I was going to do with him, but I had to have him. He’s a gentle giant at 16hh but very opinionated. 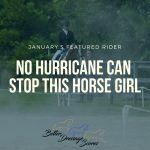 He has his feisty days but has found his forte in Dressage and seems to love it as much as I do,” she said. But, between the lack of local shows or a dressage coach, Ashleigh finds it tough to improve their partnership. 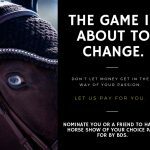 That’s why online horse showing has become the perfect outlet for her and Miles. 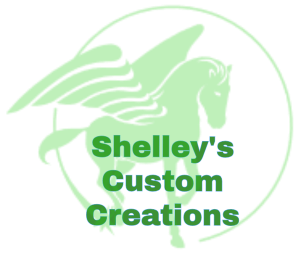 She finds that online horse shows are a great way to measure her and Miles’ progress as well as help them improve. 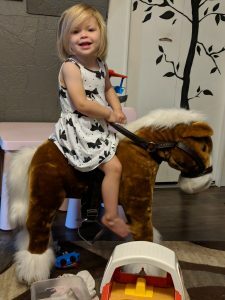 She hopes that one day her daughter will love riding just as much as she does. It seems like she’s already off to a good start! © Better Dressage Scores 2019. Theme designed by CPOThemes.